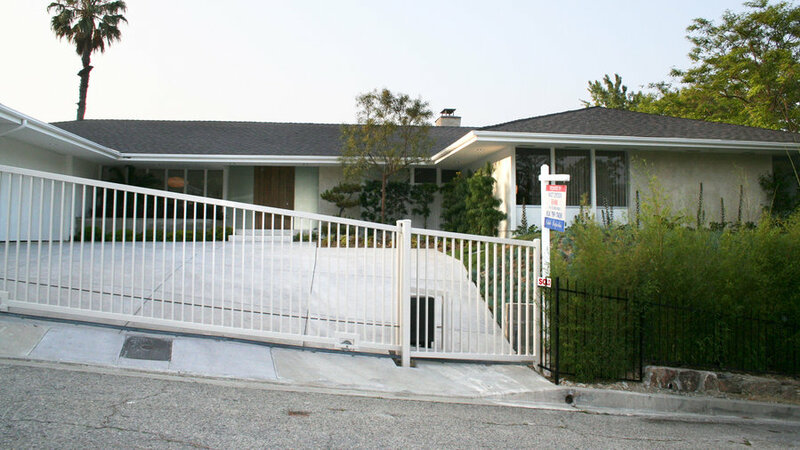 A dated façade and a bleak concrete front yard—that’s what the owners of this ’50s rancher got when they bought their house in Encino, California. Instead of remodeling the home, though, the couple used a simpler, less costly strategy to solve both problems. First step: Remove the metal fence and the expanse of concrete beyond. Then reorient the garage (at far left photo) to face the street, with access by wide pavers. Next, see what it looked like after the remodel. The owners ripped out the concrete, terraced the sloping yard, then walled off the top level to create an outdoor room behind the façade. The effect is the appearance of a whole new house. Next, see inside the new outdoor room. 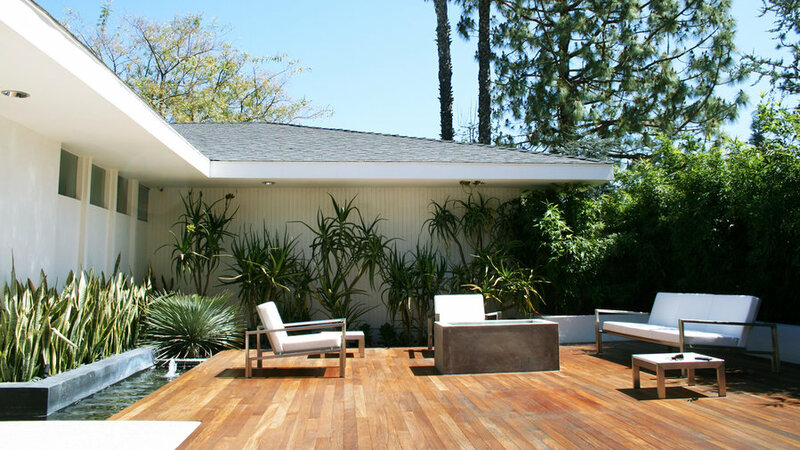 Deck out the new "living room"
Case Study stainless steel furniture from Modernica in Los Angeles surrounds a built-in gas firepit. The decking is teak finished with tung oil. Tree aloes and yuccas soften the house. 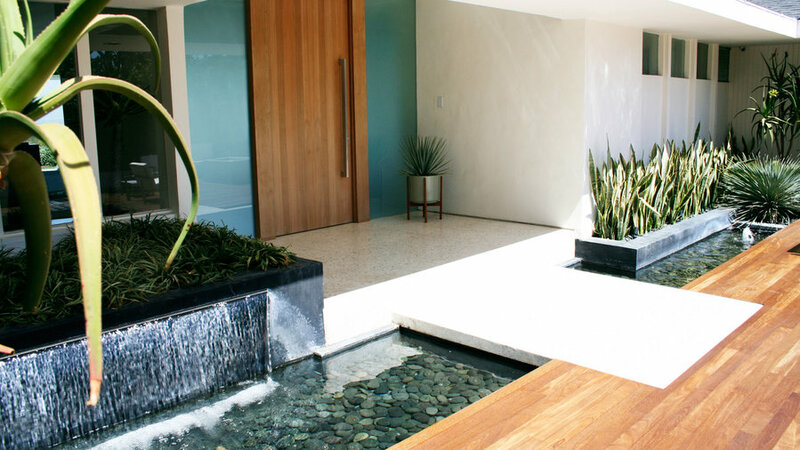 A low wall of graphite-hued concrete backs a long, shallow pool on both sides of a “bridge” leading to the entrance to the main living area. Terracing the bottom half of the 30- by 40-foot former driveway with concrete walls and steps  lets the top half be level. 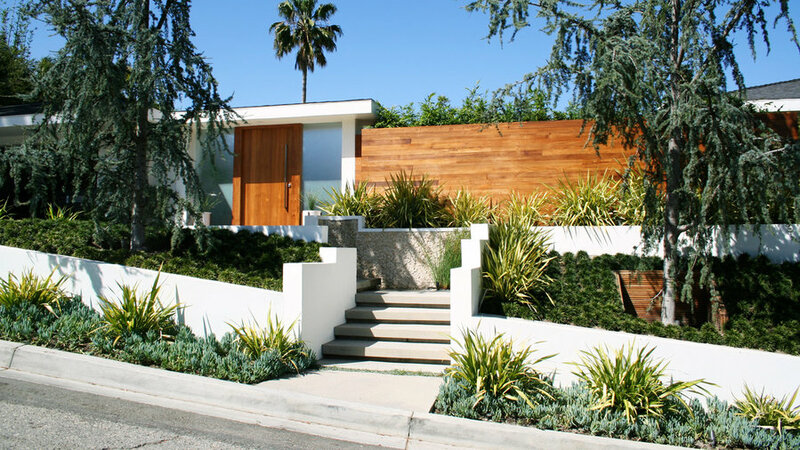 A teak wall with a white-framed “door”  screens the outdoor room  from the street. 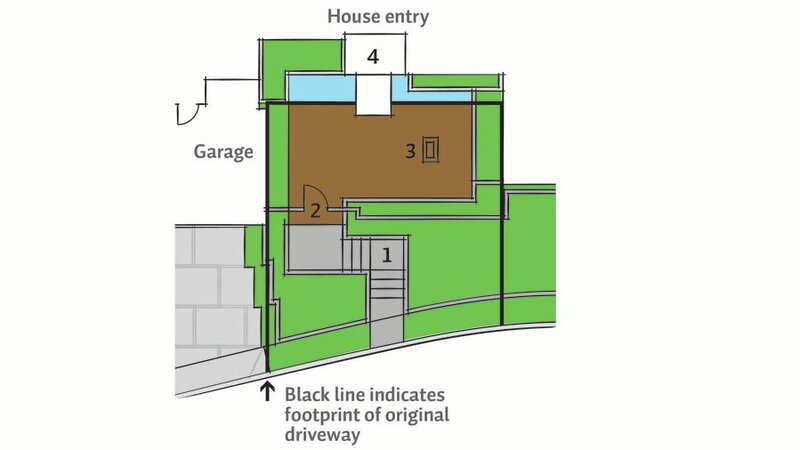 The actual entrance to the house  lies on the far side of the new space.